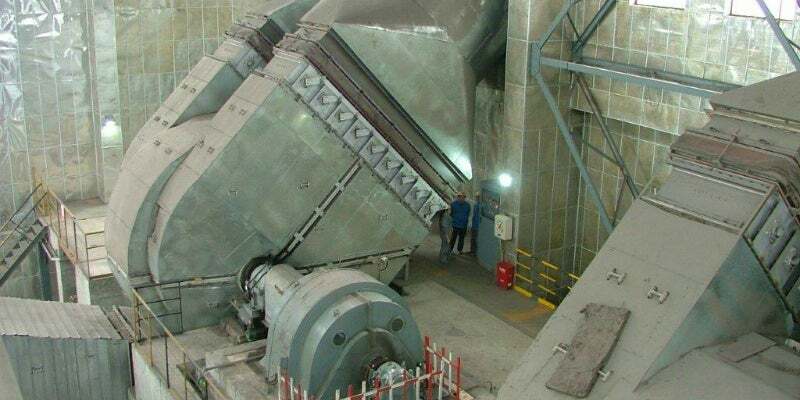 Although CFE Technology’s special focus is on high-tech solutions using variable-pitch axial-flow fans, the company has also applied its engineering expertise to the development of high-performance centrifugal fan solutions, typically in the power range from 500kW to 4000MW drive power. CFE Technology’s centrifugal fans are designed for optimum performance, even under harsh conditions. These fans not only perform effectively in clean air applications, but their heavy-duty construction makes them ideally suited for installation in challenging environments such as contaminated gas, high-temperature, and high-pressure applications. 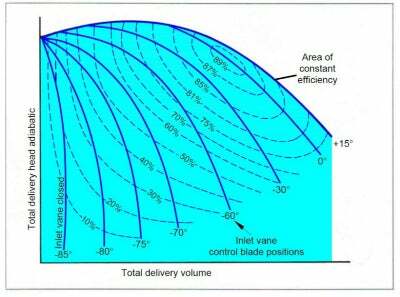 CFE Technology mainly offers blade types as airfoil, and curved backward-inclined (Figure 1). Each type has different wear characteristics and efficiencies and is specifically designed to suit the application. The combination of our design parameters give total efficiencies as high as 92% for airfoil blade designs. Where extra-rugged construction is necessary, solid-bladed fans are available with efficiencies up to 89% (see Figure 2). CFE Technology centrifugal fans employ adjustable inlet vanes to control output. The inlet vane control method pre-spins the fluid entering the fan in the direction of the wheel rotation. This action results in less work for the fan and subsequently Iower power requirements. Inlet vanes also provide improved control stability over the load range. By placing all inlet vane linkage external to the gas stream, CFE Technology’s design minimises leakage, blockage, and linkage binding. Minimising such undesirable traits allows less down-time and reduced maintenance for the centrifugal fans. If applications require other arrangements, CFE Technology also supplies fans without inlet vane control for use with damper or speed controls. CFE offers a global service network in conjunction with its associated partners for marketing, engineering, site erection, commissioning, and after sales service.